Megan Abbott. Photo by Joshua Gaylord. 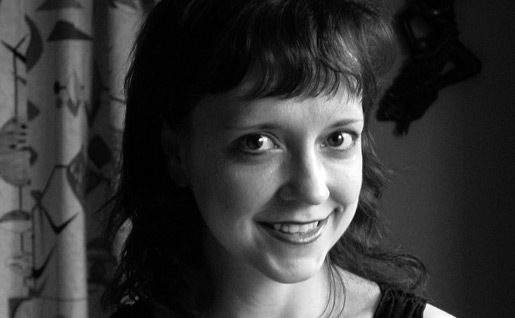 Universally hailed as a great stylist and rightful heiress to the greatest masters of hardboiled fiction, Megan Abbott has quickly become one of the most appreciated writers of her generation, deservedly so. And I’m confident that her next novel, The End of Everything (to be released July 7 by Little, Brown), will win her a much broader audience yet, far beyond the limits of noir aficionados already enthralled by her prose. Although there’s no shortage of good interviews with Megan available on the Web, I had a chat recently with her a propos of the Spanish release of her Edgar winner novel, Queenpin, so I thought I’d share it with you. Oscar Palmer: When and how did you become interested in noir? I’ve read in your blog that you remember seeing Gilda with 9 or 10 years, so I’m guessing this is something that started brewing at a young age. Were your parent fans? Was this encouraged? 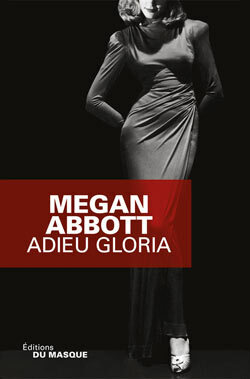 Megan Abbott: My parents were fans and very encouraging. They would scour used book stores for me for old movie books and take me to any revival screenings. Everything I write I can trace back to the old movies I watched on TV on Saturday and Sunday mornings. First, it was gangster movies—Public Enemy, especially—and then onto Howard Hawks, Billy Wilder. Somehow, those movies, especially film noir, became the dark foundation for me—they formed the world I wanted to enter, and writing was my way of entering that world. OP: You’re obviously a great film buff, and I was wondering if you could elaborate a bit about how you think film has permeated your understanding, your expectations and maybe even your literary conception of what noir is. Or should be. MA: Ah, that’s interesting. 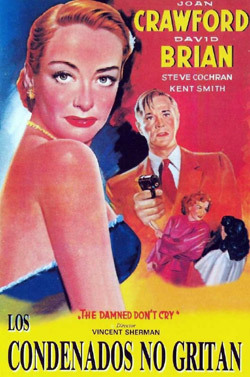 It’s true, my first exposure to noir was through film, and only fiction thereafter. For instance, I must have seen Double Indemnity a half-dozen times before I read it, in my 20s. I find them to occupy, generally, separate noir universes and I like to draw from both. There is something very special about the visual resonances film can give noir—bringing to vivid life these shadowy worlds, imparting a glamorous sheen that can make everything seem shinier, more hypnotic, more dangerous. The books, on the other hand, are so much more intimate and the use of first-person in particular (e.g., in Cain, Chandler) brings such intensity, makes everything feel rawer, closer. And, given the Production Code, the books also bring you far closer to the lurid, the unsayable. So these are two different worlds that speak to each other, whisper to each other. I love them both. Queenpin around the world. 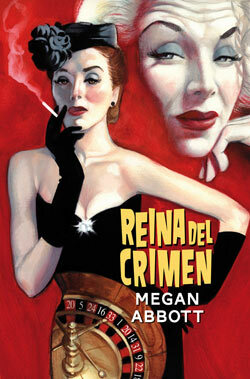 Spanish edition (cover by Fernando Vicente) and French. OP: Your first book, The Street Was Mine, was a scholarly essay on noir. Was this something you thought you should do before writing a novel, like a springboard or a laying of the grounds for your own novels? MA: The Street Was Mine began as my graduate thesis. I had completed my Ph.D. coursework in English and American literature and I wanted to pick something different for my dissertation and I thought I might pursue all those wonderful books that became the basis of my favorite films. I read The Big Sleep and The Postman Always Rings Twice and knew I’d found my passion. I never had any intention of writing fiction, but while working on my thesis, I just needed some non-analytical outlet and found myself writing the pieces of what would become Die a Little, my first book. At first, it was just scraps, a vague idea, but the more I read, the more it fueled it. In writing a critical study, you don’t have as much opportunity to “enjoy your enjoyment” of the books you’re studying, so writing the novel was my way of doing that. OP: I don’t know if you’ll agree, but I see your novels as some kind of answer to those Chandler and Cain classics you dissected in The Street Was Mine. Not as an antagonistic answer, but more of a parallel approach. Your characters inhabit that same world, but obviously they have a different way of dealing and a different point of view about what’s happening. Anyway, what I wanted to ask is; what did you learn writing The Street Was Mine and what impact did that have in your own prose? MA: Thank you! I was aware, writing it, that these books were heavily a world of men, and there did seem a ripe opportunity to write these kinds of books with female characters who were not femme fatales (or not viewed as femme fatales and defined solely by their ability to entrap men). So I think that gave me a way in. But primarily reading all these wonderful books just made me want to be a part of their dark fabric. And reading so many in a row, the prose styles, the Manichean logic, the confessional qualities—it just enthralled me and I wanted to try to write like that. 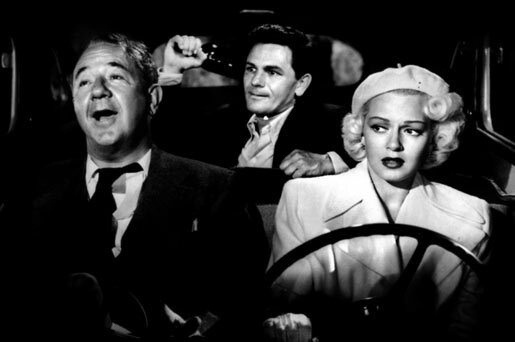 The Postman Always Rings Twice (Tay Garnett, 1946). OP: Die a Little and Queenpin are set in the 50s. The Song is You in 1949. With Bury Me Deep you went back to the 30s. How big a part of writing these novels went to research? Also, I’m amazed at the seemingly effortless way you have of writing credible vintage dialog and slang. I know authors like David Peace listen to a lot of music, both good and bad, from the time they set their novels on, just to get a sense of which words were used and in which ways, among other things. What kind of sources do you turn to whenever you’re writing a period piece? MA: I really love research—especially of the less traditional variety. While I will read standard history books, I prefer the more tossed-aside ephemera of the time, which I think can say a lot more about the culture than the so-called “official history.” I’m always trawling flea markets and yard sales for old cookbooks, catalogs, cocktail menus, cocktail napkins, lots of popular magazines and tabloids. Music too—that makes so much sense to me, David Peace’s approach. I listen to a lot of tossaway music, lost jukebox tunes, tin pan alley, novelty songs. I keep absorbing all of it until it becomes this sort of endless collage unfurling in my head. And then I stop, and start writing. OP: You’ve used characters based on real women in other novels. Was there also any real life inspiration behind the character of Gloria Denton. Have there been, to the best of your knowledge, any real queenpins? MA: Very few on the kind of scale Gloria works. 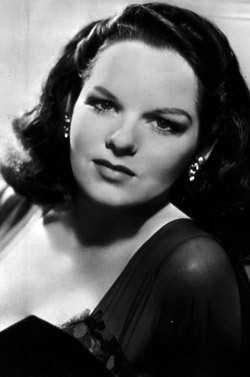 Gloria is loosely based on Virginia Hill, the paramour of gangster Bugsy Siegel, the one after whom he named the Flamingo Hotel. I learned she was much more than a moll. The mob trusted her to move money and jewels, to go to Switzerland to open bank accounts. She had tremendous power. In 1951, she was called to testify in front of the U.S. Senate and she didn’t give an inch. She told them she didn’t know a thing about organized crime and insisted, “I work where I want and when I want. I don’t dance for nobody.” That line was intoxicating to me. I knew I wanted to bring a character like that to the center. Hill, however, appears to have been a pretty reckless person, and I wanted to make Gloria far more ordered, controlled. In that way, she derives more from, say, film performances of Joan Crawford, or Angelica Huston in The Grifters. modeled after the real life Virginia Hill (right). OP: There have always been female mystery writers, but would you agree that we’re finally seeing an ongoing reinvention of the most male-oriented aspects of the genre, like hardboiled and vengeance yarns, being done by writers such as Christa Faust, Vicki Hendricks and yourself? MA: I do think we are witnessing a real flood of tougher, darker crime fiction by women and it’s exciting to see it take on a kind of momentum. Of course, it’s been a help in terms of finding readers to be a woman writing in a traditionally male corner of the genre. You stand out. You’re an anomaly. And there’s also fresher terrain in terms of plots. There are still remarkably few noir novels about nurses or female school teachers, for instance! OP: Name your three favorite film noirs. MA: Oh, so hard. 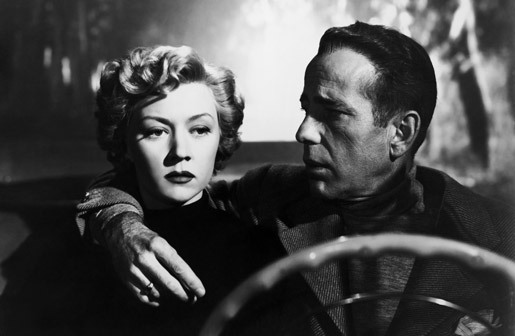 Today, I go with Double Indemnity, In a Lonely Place and Kiss Me Deadly. OP: And your three favorite noir novels? MA: The Long Goodbye, They Shoot Horses, Don’t They, and The Postman Always Rings Twice. Bogart and the always amazing Goria Grahame find themselves In a Lonely Place (Nicholas Ray, 1950). If you live in a country where Spotify is licensed, be sure to check this selection of tunes handpicked by Megan as the perfect soundtrack for Queenpin. Pre-order The End of Everything.